Look here for the cost of carpeting your 10x12 rooms! Many find carpet to be highly necessary in their offices, homes or other spaces. Generally, the process of installing it can be done through either Do-It-Yourself means, or by a professional. Regardless of which you choose, it needs to be rather precise. Keep in mind that your carpet also contributes to the overall ambiance of the space, so it’s important to get the right style! When you have a ten by 12 room, you’ll have 120 square feet to cover. However, you’ll want to keep in mind that there’s likely to be some waste, so it’s a good idea to get extra. Generally, purchasing about 132 square feet will be plenty to cover you. Make sure that you consider your entry points, furniture and other features when you’re looking to install carpet. There are a variety of factors to keep in mind while you’re shopping for carpet for your ten by 12 room. Considering you already know the square footage you’ll need, that can be set aside. However, the carpet materials, styles and other aspects are also worth keeping in mind, as they do add to the overall price of carpeting. Carpet uses several different materials. 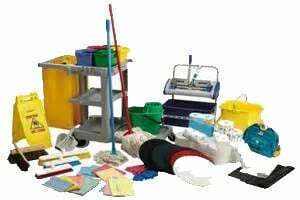 These can include wool, acrylic, polypropylene, cotton, polyester, nylon and more. Based on the material you choose, some options may be more expensive than others. As a result, you’ll need to consider the benefits of each carefully before deciding which option to choose. Wool is a carpeting that many people are interested in. It’s considered quite an investment by many, which is why it’s often the chosen material. However, wool is also an expensive option that isn’t as resillient as many of the others out there. The high-maintenance aspect also means you have to be very careful with it. In some cases, with the proper care, wool can last for a long time. However, it’s not the best choice for a ten by 12 room with a lot of foot traffic. This is because it can be more prone to stains and other issues than some of the less expensive choices out there. Acrylic is a relatively common option, as it tends to come with a lower cost. It’s also a choice that is better for those who are looking for easy maintenance. 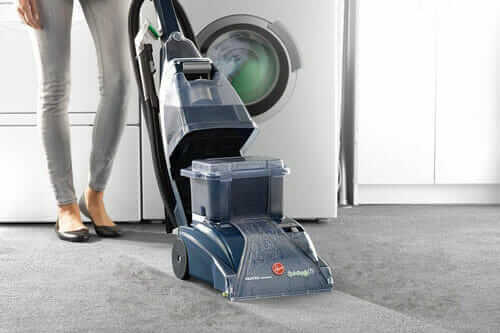 This makes them ideal for homes that have more foot traffic, young children or pets who may make messes. On top of that, the coloring of this carpet doesn’t fade as quikly as some other choices out there. Consequently, it’s likely to last longer, resisting both mold and staining. Many prefer acrylic because it’s comfortable, springy and provides them with an easy, great looking flooring solution. This option is also known as Olefin, and shares many qualities with polyester. For those who like nylon, but don’t want to pay the higher cost, this is a decent substitute. 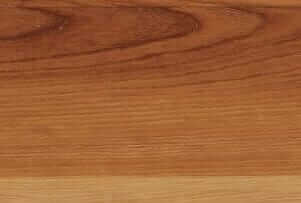 It’s a pretty durable choice, resistant to tearing as well as stains that can show up in other types of flooring. When you’re shopping for polypropylene carpeting material, you’re likely to find it in berber styles most often. Keep in mind that it may not be as resillient as some of the other choices here. Consequently, it’s a better choice for households that don’t have a lot of foot traffic within them. If you’d prefer a carpeting option that is soft and comfortable, cotton is a great way to go. Many are aware of the enjoyable feeling of cotton, but it’s also an option that can stain more easily than other options. As a result, it’s going to require a higher level of maintenance than other options. That said, it is one of the more durable options out there. It dyes well, meaning that it can come in a number of delightful colors and tends to be resistent to heat and static. 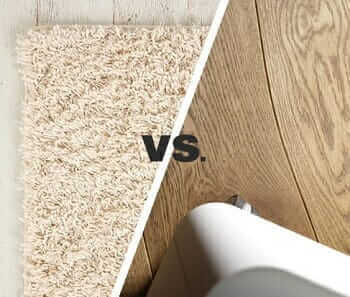 In time, cotton carpeting can also be prone to browning, which can leave it with a lot less luster. For those who like less costly, but more resillient options, polyester can be a great choice. The price availablility can range on this type of carpet, so shop carefully to get the best value. Like cotton, this is an option that can dye well and therefore offers many fantastic color options. Polyester is also more resistant to water and stains, making it better for households with small children. Messes made on this carpeting type will be easier to clean up before any serious staining can occur. It’s also an option that is comfortable and soft for those who are walking on it. Many carpets include nylon, as it offers a high level of durability. Because of this, it tends to be more friendly to households with more foot traffic. Do keep in mind that it might be more likely to stain, as it is a very absorbent material. However, there are still options that are more resistant. Another great aspect is that nylon carpeting can be found at a variety of price points, so there’s something for everyone. While you’re shopping, make sure that you’re getting plenty of value, even from the lower end options. Consider the variables and find the best choice for your home. On top of the materials you can choose from, there are also different carpet styles that you can choose from for your ten by 12 room. These styles can really effect the look of your home, so it’s key to get something that suits your tastes as well as the style you’re creating within your home. The styles you can choose from are loop, cut, and combination loop and pile-cut carpets. Each offers their own benefits, and assist in different situations. As a result, it’s important to consider each option carefully so that you can choose the style that will provide your home with the best possible look. You’ll be able to tell when the style of a carpet is a loop pile, because the carpet is woven into the given backing in loops. While you won’t be as likely to see or feel the difference once it has been installed, this style can be a little more durable than other options on the market. However, keep in mind that loop-style carpeting can sometimes cause a problem as well. Because of the loops, it can be a little easier to pull out of the backing. As a result, households with pets can experience bits of carpeting coming out. It’s worth comparing if you have a pet household. Cut piles are created in much the same way as loop piles, but afterward, the loops are cut. This leaves the fibers in an even length. What this means is that if some pieces come out, it may be less than with a loop cut. However, it can be a less durable option for high-traffic households. In addition, cut piles can be very dense and bery soft, making them quite comfortable to walk on. Ultimately, it’s going to be up to you to determine whether you’d prefer to focus on softness or durability. Considering the kind of household you have can be quite useful for this. This combination style seeks to provide the benefits of both styles in one carpeting. That way, it will be more likely to be durable as well as provide the denser comfort of the cut style. When you have a household that may come with more foot traffic, this can be a decent choice to go with. Furthermore, this style is one that can come in many different designs so that you can add style to your room. As a result, it’s a good option if you’re looking for something that can provide a unique look as well as a durable surface. Consider taking a close look at this option if you want a higher level of style. As mentioned earlier, for the ten by 12 room size, 132 square feet is a decent amount to cover for any potential waste. As a result, we’ll take a look at the cost of the carpet options available for that amount of carpeting and provide a cost analysis. The first aspect to consider is the cost of the carpeting itself, which can vary anywhere from $1.00 to $11.00 for each square foot. 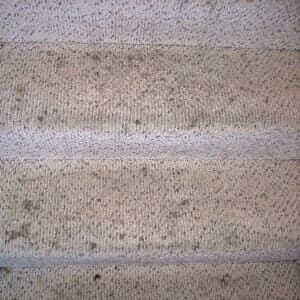 What that means is the cost of the carpet per foor may be anywhere from $132.00 to $1,452 for carpeting the entire room. Meanwhile, padding for the carpet often comes in at about $0.60 for every square foot, resulting in a total of about $79.00. Labor can differ, depending on the contractor you choose, but is often around $1.00 for each square foot. This results in about $132.00 in labor costs. If you need extra services, like removal of furniture, can come in at about $66.00 overall. As a result, the overall cost may be anywhere from about $410.00 to $1,729.